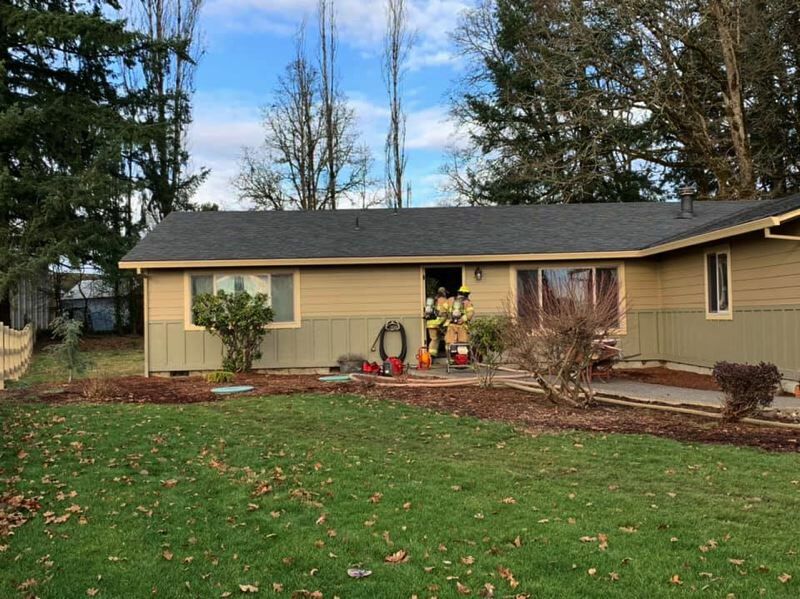 Columbia River Fire and Rescue and Scappoose Fire Rescue crews responded to an attic fire in the 5600 block of South Morse Road in Warren on Wednesday, Jan. 16. The cause of the fire in the attic space is undetermined, but estimated to have caused about $8,000 of damage. A family of four, including two adults, two children, and two pets were displaced temporarily the resulting smoke damage and work that was done to the ceiling by fire crews to reach the blaze, a spokesperson for CRFR stated. Three of the four family members were home at the time and were alerted to the blaze by the smell of smoke. The family and pets were able to make it out of the home with no injuries. The family had working smoke detectors in the home, but the alarms had not started to sound off yet due to the location of the smoke in the attic space and not the main living area of the home. A total of 14 firefighters, two chief officers, one public information officer, five fire engines and one water tender responded to the call.